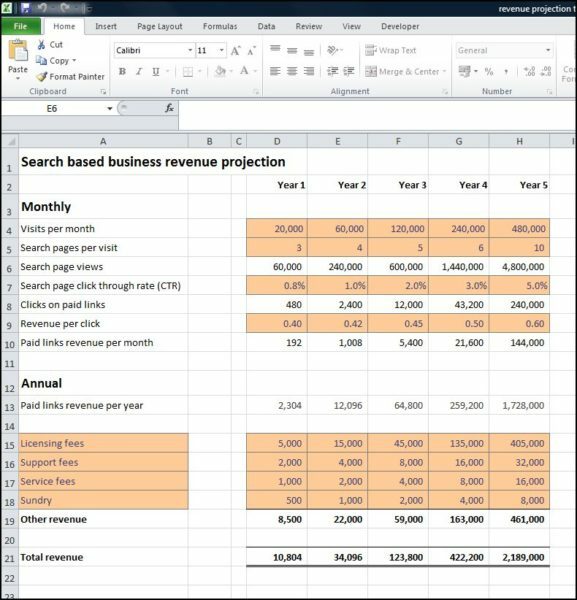 The template below for a search engine business revenue projection, can be used to generate a revenue forecast which can act as starting point for our Financial Projections Template. The revenue projection template provides a quick and easy method to estimate revenue generated by paid links from a search engine business model. Starting with the number of visits per month to the search engine website. pages per visit, click through rate (CTR), and revenue per click, can be entered to change the forecast as required. The template allows ‘other revenue’ to be entered manually to produce a complete picture of the revenue for the business for each of the five years. 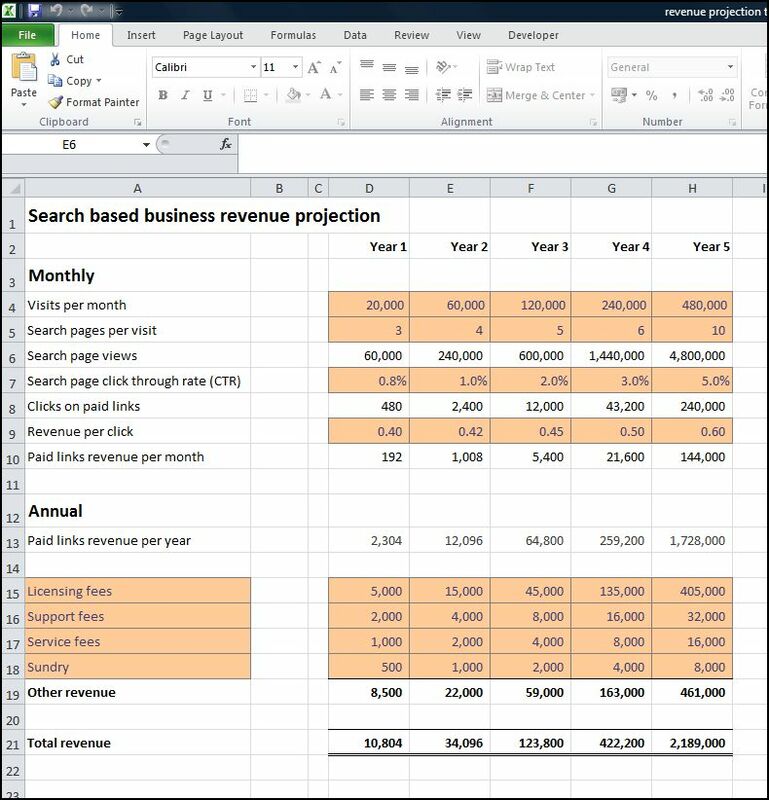 The search engine business revenue projection template is available for download in Excel format by following the link below. The revenue projections produced by this template can be used as the starting point for our Financial Projections Template. Users use the search engine business revenue projection template at their own risk. We make no warranty or representation as to its accuracy and we are covered by the terms of our legal disclaimer, which you are deemed to have read. This is an example of sales forecasting software that you might use. It is purely illustrative. This internet business model is not intended to reflect general standards or targets for any particular company or sector. If you do spot a mistake in the internet business plan template, please let us know and we will try to fix it.